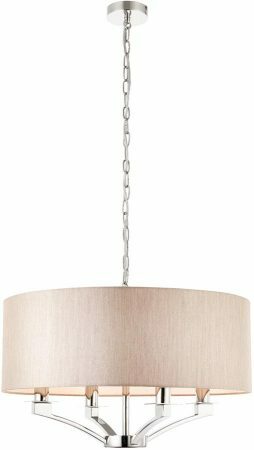 The Vienna polished nickel 4 light beige shade candelabra pendant combines simplicity with elegance to create a contemporary design. A wonderful four-light ceiling pendant, with a polished nickel ceiling mount and adjustable height chain suspension supporting a central drop rod and four upward facing candelabra style arms. 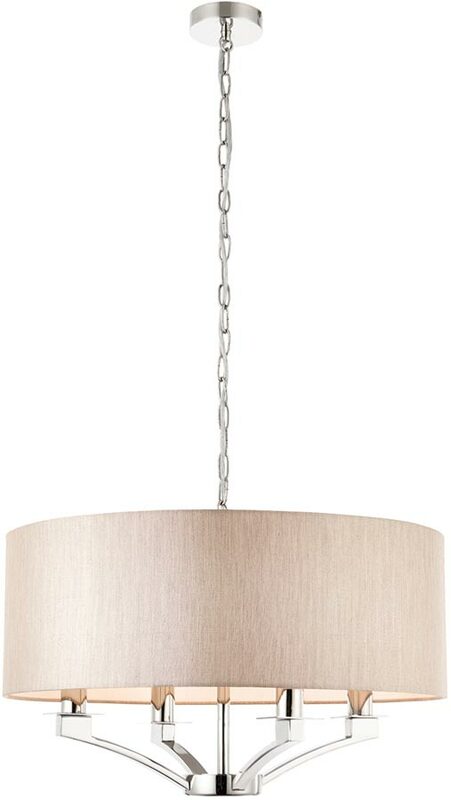 A beige faux silk shade surrounds the lights for a softer mellow lighting effect. Height adjustable at the time of fitting by removing chain links, minimum height 50cm, maximum drop 180cm. The Vienna polished nickel 4 Light beige shade candelabra pendant, designed and manufactured by Interiors 1900.